The gallbladder is part of the digestive system. The function of the gallbladder is to store and concentrate bile produced by the liver before releasing it into the intestines during digestion. Bile is formed from mucus, bile pigments, bile salts, cholesterol, and mineral salts (calcium) which promote digestion, particularly of lipids, by forming an emulsion. The gallbladder is pear-shaped and is approximately 8 centimetres long and 4 centimetres in diameter. 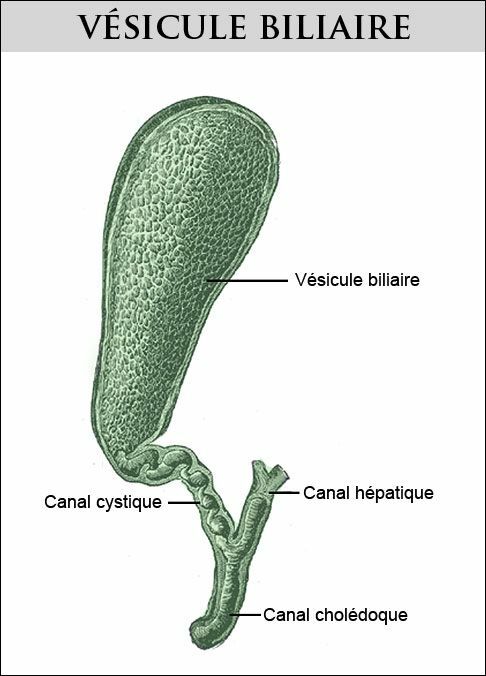 It is connected to the liver and to the duodenum by the cystic duct which opens into the bile duct.